Description Same as 3847 - but this one shows more. Robert Montgomery was Lake Oswego's first fire chief. He was also a member of the Heritage Council. 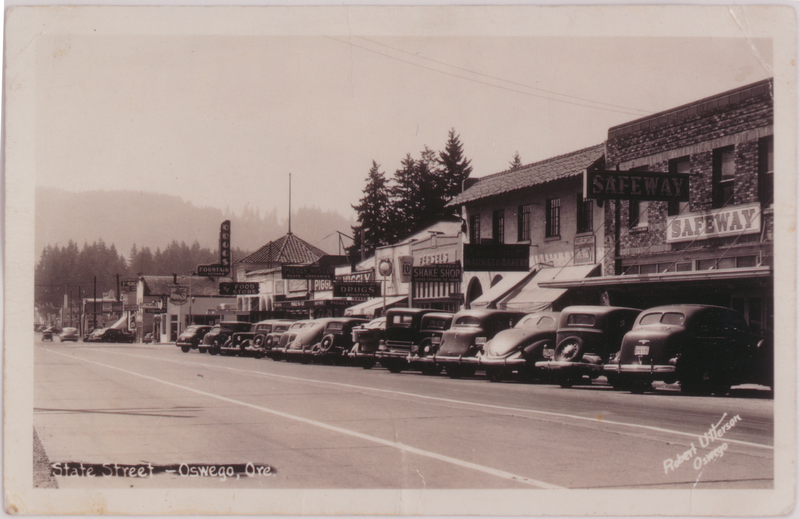 The picture shows several businesses on State Street including Safeway, market & bakery, Oswego Shake Shop, 10 cent store, several drugstores, Piggly Wiggly, and Mobilgas.